What is a CPU? Why does your computer need one? Without a CPU, your computer simply wouldn’t work. But, why is that? 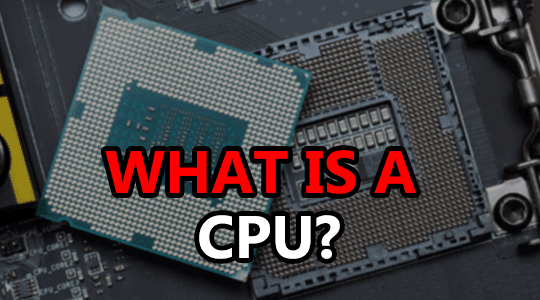 What is a CPU and what exactly do they do? Do you really have to spend a lot to get good performance? Let’s find out. A CPU (Central Processing Unit), often just referred to as a processor, can be considered the brain of your computer. Its main job is to process data and ultimately decide what should be done with it; whether it should handle the workload itself, or pass it along to something else. Similar to a person without a brain, a computer without a CPU wouldn’t work and nothing would get done. Not ideal. In regards to a desktop, your CPU is simply a chip that plugs into your motherboard. You won’t be able to directly see it just by looking though, it’ll be covered by a CPU cooler. But, under that is a small silver chip and it’s importance couldn’t be greater. 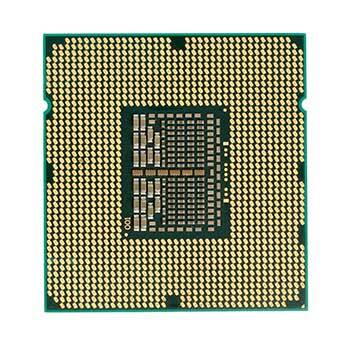 CPUs are one of, if not the most complex items to manufacture. It took hundreds of steps to complete the CPU running your PC right now, a lot of them at the microscopic level. Part of that is due to processors containing billions of microscopic transistors that are measured in nm (nanometers). Hence why you’ll see various measurements like 14nm, 10nm, and 7nm mentioned when people are talking about CPUs as well as GPUs. Some CPUs, especially those used in laptops and mobile devices, contain more than just a processing unit; some come bundled with their own integrated GPU and potentially even more. These are often referred to as an SoC or a System on a Chip. Another example of an SoC would be something like a Raspberry Pi. Generally speaking, CPUs are made up of 3 primary parts consisting of other smaller parts. Control units, arithmetic logic units, and intermediate access stores. CUs are what control the input and output of data. ALUs are what’s actually processing data. IAS are your CPUs various caches, like L2 and L3, where bits of info are stored temporarily. Processors are generally the first component to receive data, from everything. Once a CPU receives data, it decides what should be done with it and proceeds to send instructions out, maybe to your GPU to render video, maybe asking your RAM to cache something, or maybe asking your storage to pass even more data. It’s similar to your supervisor at work, only a CPU actually does some of the work itself – a lot of it, actually. The type of information your CPU receives will dictate what it should do. The only thing that doesn’t change is how that information is handled. That’s about all a CPU does, over and over again. Boring, right? It fetches instructions kept in memory, decodes those instructions, executes the task, and then stores relevant information to memory for the next time. Processors are made up of multiple CPU cores. Or, they are now. Once upon a time, single core processors were a thing. Now, most processors come with 2-8 cores. Some of the more expensive options can come with up to 32 cores; maybe even more by the time you’re reading this. Individual CPU cores are all loaded onto a single CPU chip which is why you’ll notice that a 32-core beast like the AMD Threadripper 2990x is much bigger than a 6-core AMD R5 2600. Each core is effectively it’s own individual entity that’s cooperating with the other cores. They pass data back and forth between threads until the task, or tasks are completed. 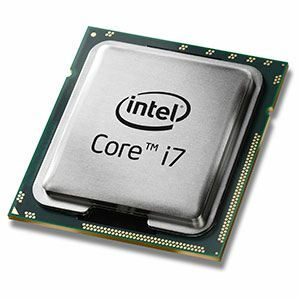 Most CPUs have 1 thread per core to transfer data with, but Intel i7 CPUs up to the 8000-series have 2 threads/per due to Hyper-threading. Usually, more cores translates into a faster CPU, but it doesn’t always mean better performance depending on what you’re doing. If you’re running a program that can take advantage of a high core count, then absolutely. As an example, rendering video will often take much less time on a CPU with a lot of cores than one with fewer. A CPU with more cores can also assist in multitasking due to having more available cores to handle more instructions simultaneously. For gaming, the benefits you get from a ton of cores become negligible after a certain point. Similar to how you don’t need 64GB of RAM in a gaming PC, you really don’t need a 28 or 32 core CPU either. Measuring CPU speed is a little more involved than 4GHz being faster than 3GHz. It’s often impossible to compare the performance of 2 CPUs from different generations or even manufacturers based on frequency alone. Often, without benchmark results, it’s difficult to even estimate potential performance based on just specs. As an example, CPU #1 has 8 cores and 8 threads while running at a base clock of 3.5GHz. CPU #2 has 6 cores and 6 threads while running at just 2.8GHz. A fair assumption would be that CPU #1 is clearly more powerful due to its higher speed and more cores + threads. What if I told you CPU #1 was made in 2012 and CPU #2 is from 2017? Now, what if I told you that CPU #2 is actually capable of wiping the floor with CPU #1 due to a vast array of differences outside of just technological advancements. That’s why comparing specs like core count and frequency are generally unreliable. The only time it really works is when you’re comparing CPUs from the same generation made by the same manufacturer. So, comparing an i7 9700K vs an i5 9600K could give you a good idea. But, comparing an i7 9700K to an R7 2700x is going to be much more difficult without actual benchmarks. Bonus points if you can correctly guess what CPU #1 and CPU #2 are – they’re real-world examples. Leave your guesses in the comment section. Who makes the best CPU? When it comes to who makes the best CPU, it really depends. In the blue corner, you have Intel. In the red corner, you have AMD. Intel has been the more dominant force for quite some time now, but AMD has made some major advancements lately. Both companies have something to offer, who’s the best just depends on what you’re looking for. When it comes to pure gaming, Intel has and always have had the upper hand. Their CPUs regularly post higher performance metrics and that’s basically universally agreed upon. However, recent AMD CPUs have been not only catching up but surpassing Intel in certain areas; most notably when streaming your gameplay. AMD CPUs also excel when being used in workstations. They often post similar if not better metrics than Intel CPUs in the same heavy workload tests. One major bonus with AMD is their pricing. More often than not, an AMD processor will be notably less expensive than a comparable Intel CPU. At the end of the day, a CPU is one of the most important parts of any computer. How important depends on how you use your computer. You don’t always need the most expensive CPU to get the best performance. When it comes down to picking between AMD and Nvidia, always check for benchmarks tests. Often, one will perform better than the other in certain areas. You’ll want to make sure you’re picking the one that’ll give you the best performance based on how you’ll be using your PC.